Part of the Omega Seamaster Planet Ocean 600M collection, this innovative timepiece is the ultimate adventurer. Featuring a super legible dial, tachymeter bezel, durable bracelet, serrated casing and the iconic fully anti-magnetic Master Co Axial mechanical movement, this is a watch designed for man who demands more. 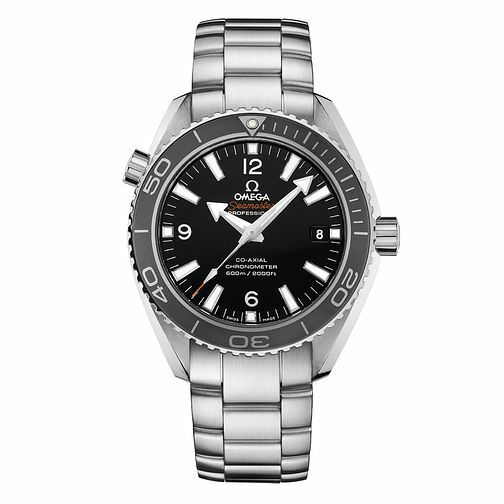 Omega Seamaster Planet Ocean 600M men's bracelet watch is rated 5.0 out of 5 by 2. Rated 5 out of 5 by Anonymous from Stylish, durable and quality! Purchased this watch nearly a year ago, best decision I have ever made in terms of luxury watches!